Bob practices meditation, martial and movement arts as regularly as the rest of us brush our teeth. Bob has been a student and teacher at J.R. Roy's Martial Arts Studio since 1993. He trains extensively with Sifu Mark Rasmus in the Science of Elastic Force. He is certified Zero Balancing practitioner, co-owner of Hillside Pizza, and father of four, grandfather of four. Bob loves to teach t'ai chi and related qigong practices to both beginners and those with years of experience. Check out Bob's classes and experience new sensations and possibilities. Lenny has 30 plus years of exploring a variety of martial arts forms, and is now focusing on T'ai Chi Chuan. 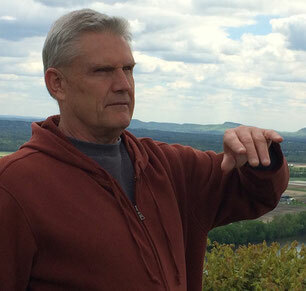 Having retired from serving the public through his work at the Westfield Gas and Electric company, Lenny's desire is to continue serving others through teaching T'ai Chi. While the movement element is what first attracted Lenny to the martial arts, he has come to appreciate that mental, emotional, and spiritual components accompany the physical aspects. T'ai Chi Chuan has had a profoundly positive impact on Lenny's health and life. Lenny believes in teaching Tai Chi in a non-aggressive, non-competitive environment. He encourages students to practice at their own pace, one that is comfortable. His teaching style mixes serious study and down right fun: a balance of Yin and Yang! 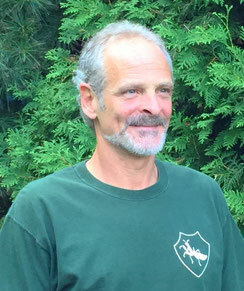 Lenny teaches twice a week at the Westfield Yoga Center and is a guest teacher at J.R. Roy Martial Arts in Greenfield, MA. For more information vist Lenny's website, Whip City T'ai Chi. Lenny and Bob train extensively together, and he co-teaches Two-Person T'ai Chi Energetics with Bob at InBody. Lisa sees clients for acupuncture, ZB and other energy arts nearby at Deerfield Healing Arts and loves to teach others how to incorporate Zero Balancing® into their bodywork and healing arts practices. Lisa began studying T'ai Chi in 1985 which lead her to study and practice energy-oriented healing arts and self-healing practices. She completed a 200-hour training in Embodyoga® at Yoga Center Amherst in December of 2014. Lisa continues to train in both tai chi and yoga. 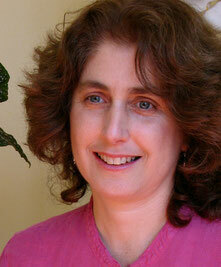 Lisa has been a licensed and practicing acupuncturist since 1995 and a Certified Zero Balancer since 1997. Lisa became a Zero Balancing teacher in 2004. 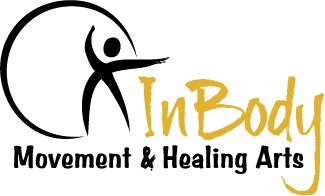 Lisa currently offers Zero Balancing® courses at InBody. For more information about Zero Balancing and Zero Balancing courses visit Lisa's Deerfield Healing Arts website and/or the Zero Balancing Health Association site. Hours by appointment or when there is a class or event. To be notified of new classes and events join our mailing list. And please visit and "like" our Facebook page! Through the interplay of movement and stillness, life force flows through our bodies, our minds, and our lives.